In what has been little publicized, Abbot Nutrition has recalled some of its Similac and Isomil Infant Formula. An internal quality review detected the possibility of the presence of a small common beetle in the product produced in one production area in a single manufacturing facility. There is a possibility that infants who consume formula containing the beetles or their larvae, could experience symptoms of gastrointestinal discomfort and refusal to eat as a result of small insect parts irritating the GI tract. The presence of e. coli bacteria has been found in some infants. Long term effects could include kidney damage. 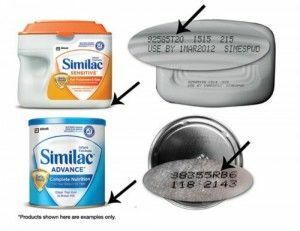 All Similac powder formula in rectangular plastic tubs is being recalled. You may find the specific serial numbers and recalled lot numbers on Abbott’s website. Consumers should discontinue use of these products immediately. If you have already used some of this product, save what you have left. You should have your child checked immediately by a physician.